Designed to support all aspects of GNSS surveying, the Trimble® TDL 450 series offers flexible configuration options and rugged reliability. 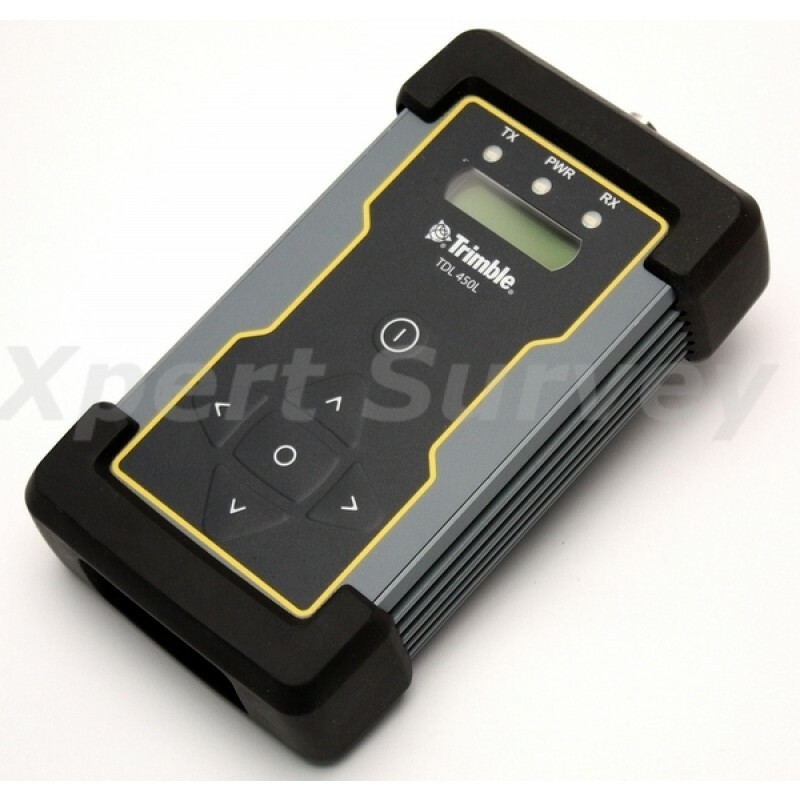 This sophisticated radio modem places Trimble’s newest data link technology in your hands. For surveyors that need to make the most of every day, the Trimble TDL 450 series is a giant step forward in radio technology. 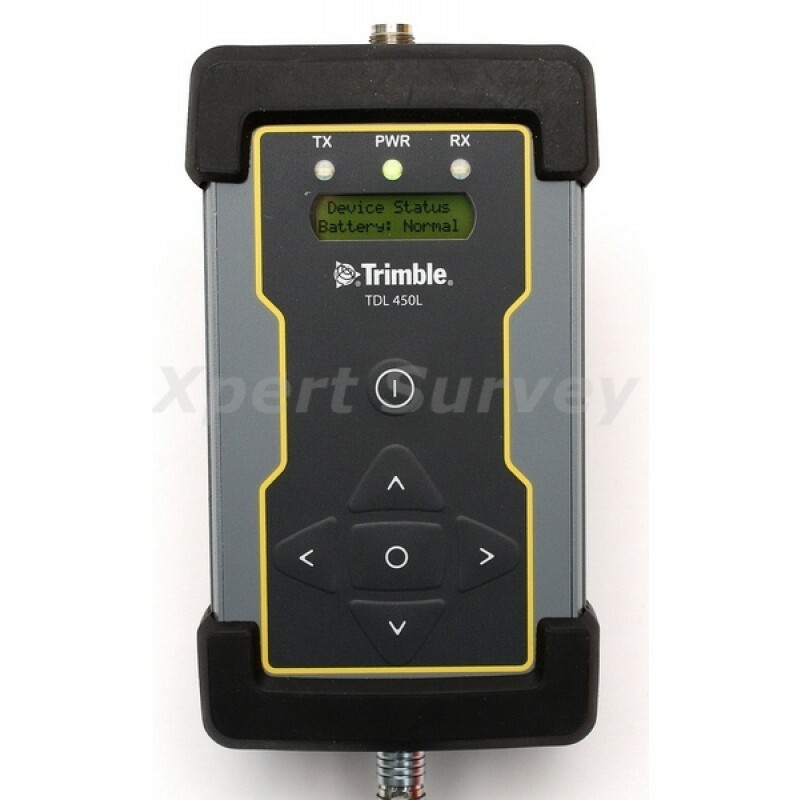 The Trimble TDL 450 series is an advanced, high speed, wireless UHF data radio built to endure the stresses of daily use in harsh conditions. Full metal construction provides impact and weather resistance that will keep you working with complete confidence. The full-function user interface streamlines field configuration and troubleshooting so you can maintain maximum productivity. 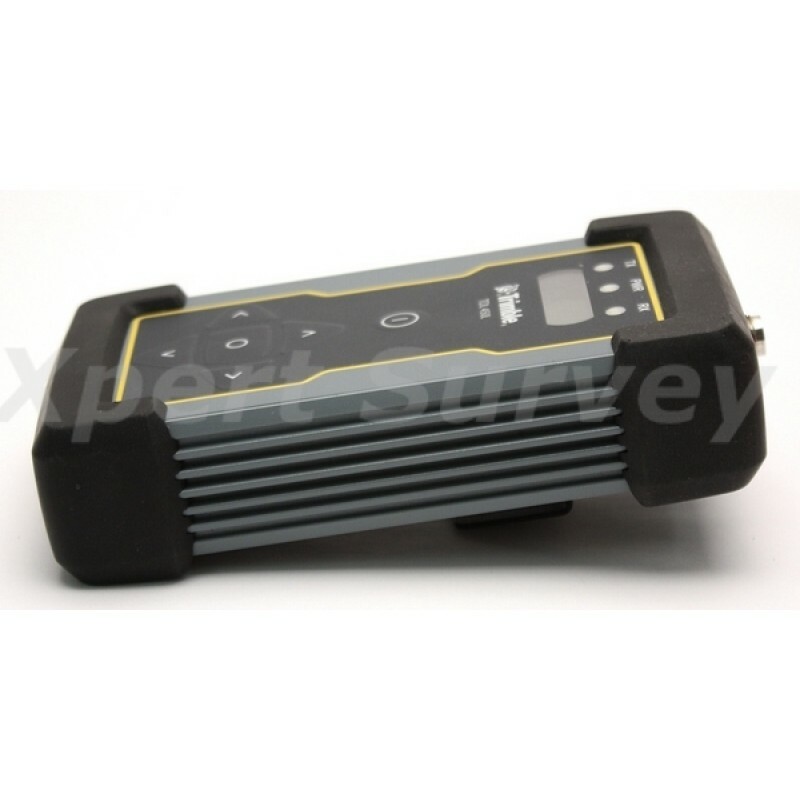 Adapt as conditions require: for longer baselines you can dial up the power, and when the work area is smaller, a lower-power output extends battery life. 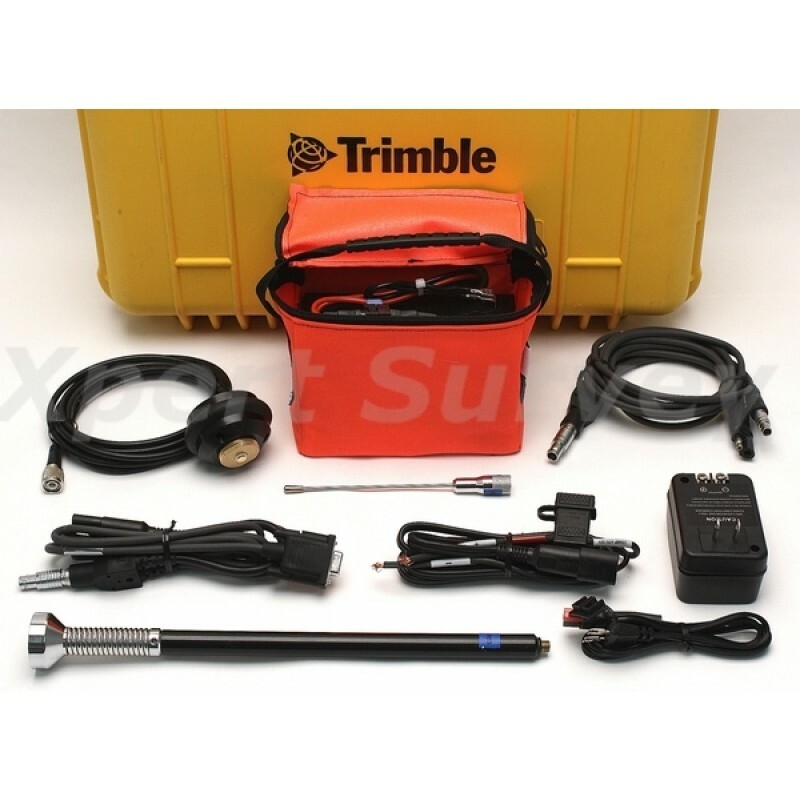 The Trimble TDL 450 series even provides access to diagnostic data in the field. 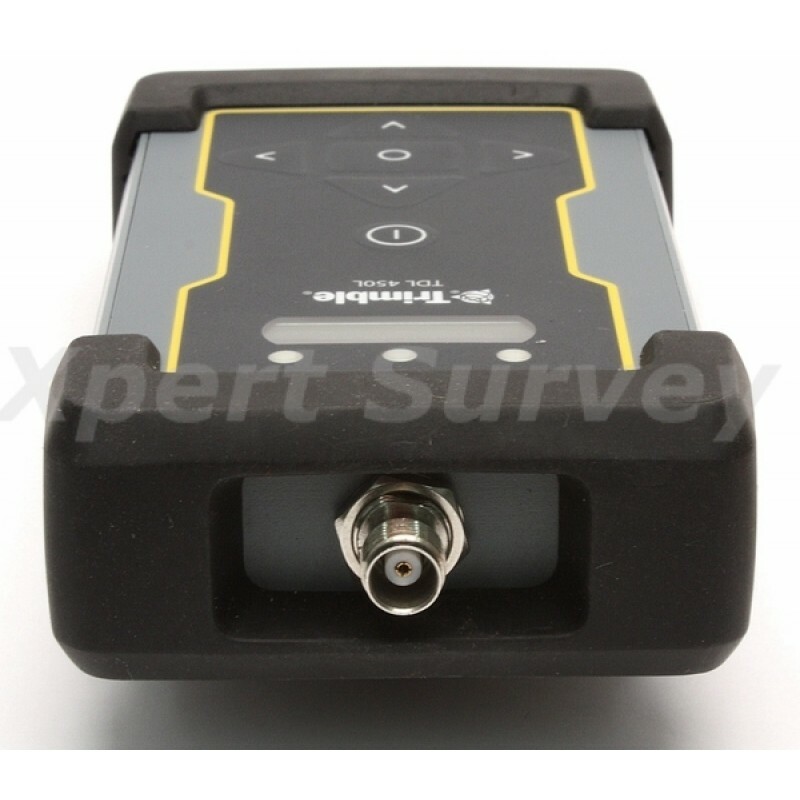 So, you can solve signal strength challenges and make adjustments to stay more productive. 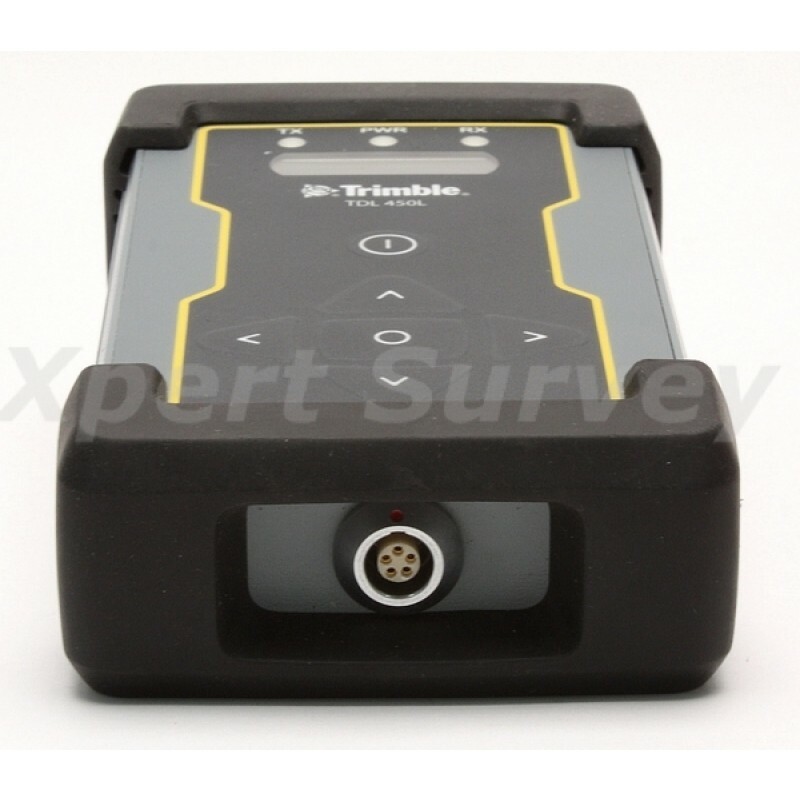 Easy-to-use and highly reliable, the Trimble TDL450 series radio is capable of broadcasting, repeating and receiving real-time data used by Trimble GNSS receivers. Its compact size allows it to be easily mounted on the same tripod as the receiver or on its own tripod using mounting hardware included as standard equipment. 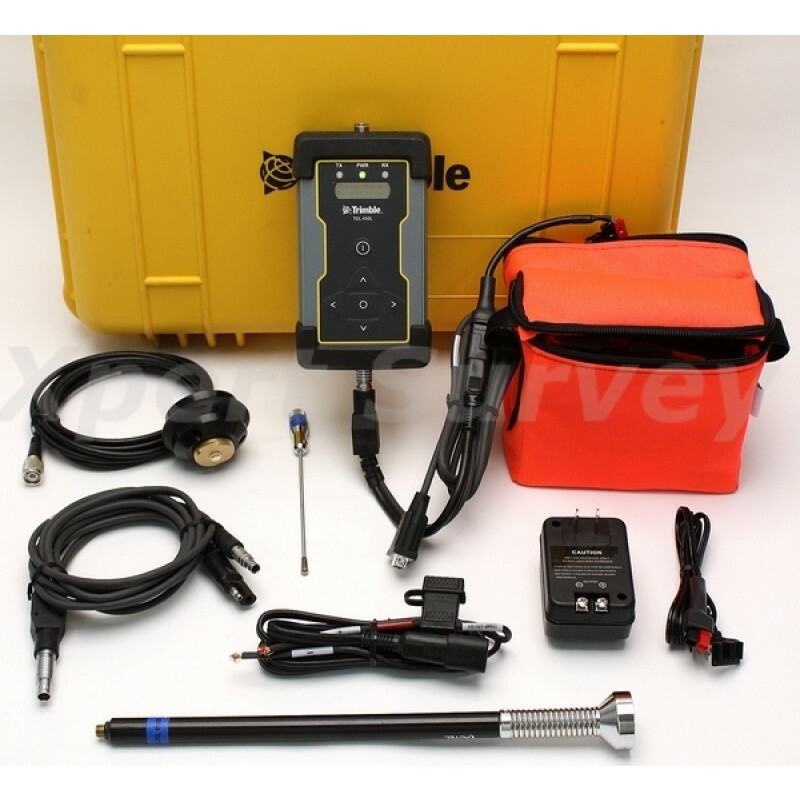 As a transmitter, the Trimble TDL 450 series seamlessly broadcasts corrections to radios and radio-enabled devices. Network coverage can be enhanced by the use of one or two repeaters. 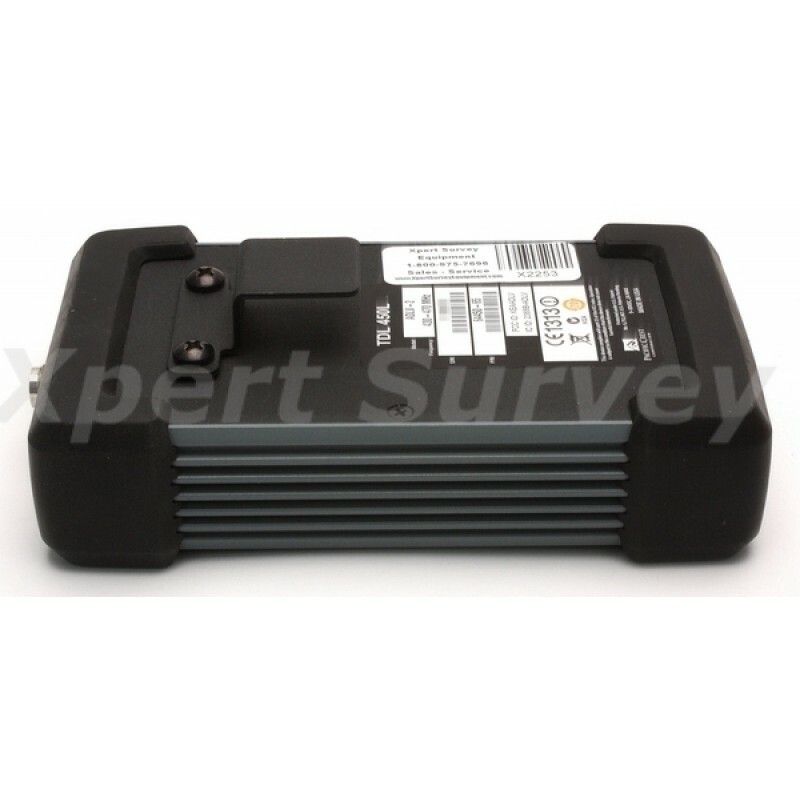 As a repeater, the TDL 450 series enables you to reach inaccessible or obstructed locations due to its extended range and seamless coverage around obstacles. 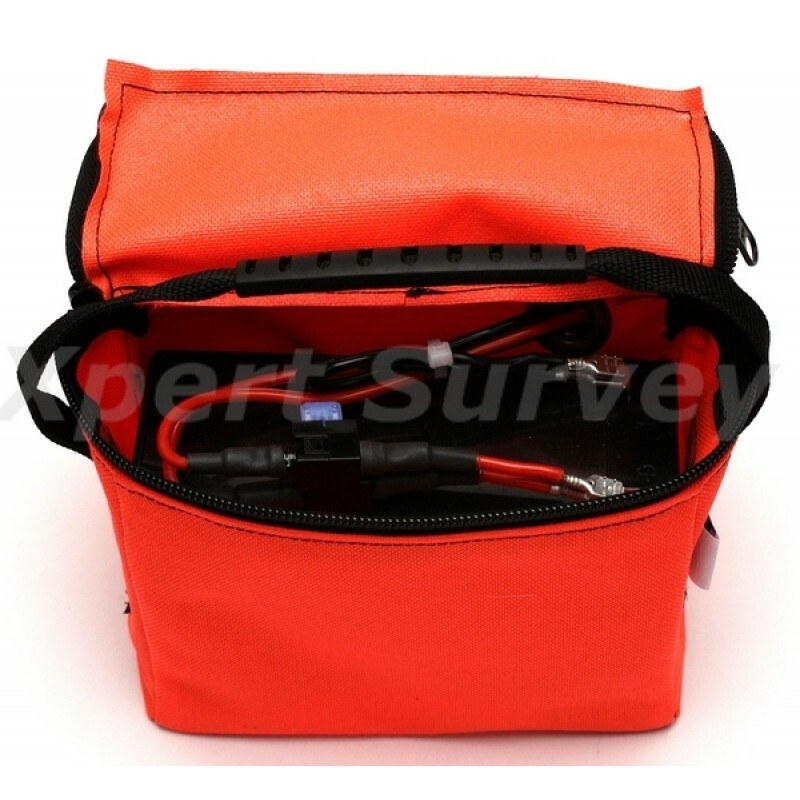 Because it is so versatile, one extra radio can be used as a backup or as a “spare” for multiple tasks.